Romford Mazda is a family run business that was established in 1992 and is passionately committed to ensuring each customer enjoys a motoring experience that surpasses their expectations. We have a hotel mentality that focuses on our customers and tries to satisfy their needs, whether you are looking for a new or used Mazda, servicing, bodywork or MOT. We have an enthusiastic team of people that are committed to ‘Delivering Excellence’, this is our strategy, we work hard to assist both new and existing customers in making the right choice, this has played a key role in securing a high level of repeat business, evidence of our excellent customer satisfaction. Every member of our team understands the values and aspirations of the business perfectly that is key to maintaining the reputation of the company. They approach their roles proactively and are dedicated people who enjoy the everyday challenges of the showroom environment. This is an essential requirement to deliver the aspirations of both the business and our customers in the most demanding of environments and for the most discerning of clients. The key to success is to differentiate from the competition and be true to your identity. Our mission is to promote loyalty amongst our customers so that they only buy form us. We confidently advise and liaise with our customers to ensure that we deliver the service levels that are expected by our customers every time they visit our business. We strive to demonstrate our unique personality and distinctive profile, this initiative fully embodies our values. Romford Mazda covers all of Essex and is conveniently located on Collier Row Lane, Romford. We are close to the M25 and cover surrounding areas of Brentwood, Ilford, Stratford, East London, West London, South London and North London. Give us a call or pop in for a cup of tea or coffee any time, we'll be happy to hear from you. 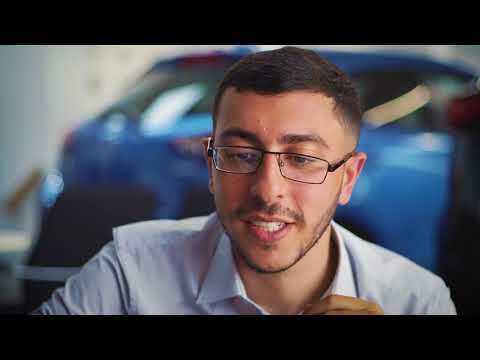 If you want to know more about the hard working and dedicated team at Romford Mazda then visit the Meet the Team page to learn a little bit more about us.